Right off the top we should clarify: a “cup” in this context is not related to the cooking “cup”, relating to volume (1 cup = 236 ml = 8 oz). It also does not refer to a physical cup (mug) of coffee. Most coffee machine manufacturers define a “cup” as 5-oz of liquid, which is 150 ml (milliliters). From now on, we’ll refer to liquid ounces (30 ml) as fl. oz., and 5 fl. oz as a “cup“. The golden ratio is a 1:18 ratio of coffee grounds (grams) to water volume (ml). This definition comes from the Specialty Coffee Association of America (SCAA), and is generally considered the standard for coffee. Adhering strictly to this requires a scale, which is a worthwhile investment if you care about the quality of your coffee, but a lot of people just want to keep things simple. The best ratio to use is: whatever works best for you. If you try any instructions or guidelines online or from the “experts” and it tastes worse for you, then simply ignore it. Your coffee is yours to enjoy, not for some self-righteous snob to judge. Start with the golden ratio of 1:18, and adjust as needed. Different terminology can become confusing – weights (grams, cups, tablespoons) versus volumes (milliliters, cups, tablespoons) are often used interchangeably without being properly defined. The best thing to do is convert everything down to common measures – grams and milliliters. A standard coffee measure should be 2 Tbsp (2 Tbsp = 1/8 cup = 10.6 g). If you’re interested in finding the perfect coffee beans, we recommend checking out our article on the best coffee in the world. A coffee “scoop” is typically 1 tablespoon (tbsp), although some use 2 tablespoons (tbsp). There are even some double-sided coffee scoops, with 1 tbsp on one end, and 2 tbsp on the other. You’ll have to verify what size scoop you’re using. Regardless of the type of scoop you have, you’ll want to use 2 tbsp (10g of coffee) per 180 mL (6 fl. oz) of water. Using the 1:18 golden ratio, we get 67 grams of coffee for 8 cups. Be warned some coffee equipment deviates from the 2 Tbsp. standard. Some are even as small as 1 Tbsp. Using the 1:18 golden ratio, we get 83 grams of coffee for 10 cups. Note that some coffee machine makers differ from this measure. Using the 1:18 golden ratio, we get 100 grams of coffee for 12 cups. A cup is defined as 6 ounces (180 ml) of water before brewing. This will produce 5.33 ounces of brewed coffee. Or 125 ml & 110 ml for Euro style coffee makers. This is different than a “measuring cup”, which is 240 ml. The SCAA defines 10 grams or 0.36 oz per 6-oz (180 ml) cup as the proper measure for brewed coffee if using the American standards. If using Euro standards the measure is 7 grams per 125 ml (4.2 fl. oz). 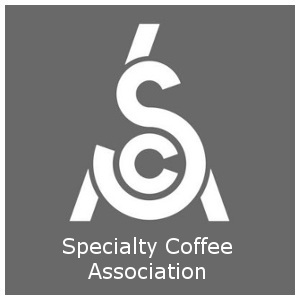 If you want to know more check the SCAA’s web page at www.scaa.org. It needs to be pointed out that some coffee pot manufacturers deviate from the 6 oz per cup standard. You should check the total water capacity of your pot before assuming that the pot will be measured in 6 oz cups. Keep in mind that it may vary slightly from coffee to coffee and according to freshness and varietal. If you have a pot that is overflowing the basket even after checking the cup size the chances are that you are either grinding too fine and clogging the filter or your coffee pot manufacturer has decided to make their filter basket a little smaller than normal. If the issue is a small basket your best bet it to figure out how much coffee the basket will hold and add water accordingly. For example, if your filter basket only holds 8 scoops (16 tbsp) without overflowing fall back to 48 oz (8 x 6 oz cups) of water. Ultimately the amount of coffee to use is a personal taste but I highly recommend at least starting with the standard and adjusting from there and don’t forget as you move toward more water and less grounds you will extract more off flavors. Most people that say they don’t like strong coffee mean they don’t like bitter coffee and weak coffee actually has more bitter compounds. You can always add hot water to weaken coffee. Weak coffee if just weak coffee and can not be fixed. Some brands like Starbucks may require less coffee by weight than a medium roast because the darker roast provides more of the roasted coffee flavor. Going even lighter, to say a White Coffee roast, means you’ll likely require even more beans, however we would recommend you try lighter roasted coffees as a new drinking experience, not actual coffee. In response to a question in the comments below I grabbed a few antique coffee cans in my collection to see what the “historical” recommendation for coffee amount was and the recommendations are far from consistent. Chase & Sanborn, Del Monte, Yuban, and Butter-Nut have no brewing directions of any kind. Luzianne (Coffee and Chicory) suggest one heaping teaspoon per cup. The cup size is not defined. See my notes below. Kaffee Hag Coffee (Decaf) recommends one “well rounded” tablespoon per measuring cup (8 oz) of water. Maxwell House and Sanka (Decaf) both stipulate 2 level tablespoons per 6 oz of water. Mistake your decaf coffee for regular coffee and have too much caffeine? Check out our how to get caffeine out of your system tips. One rounded and two level table spoons are not drastically different. I’d guess one “well rounded” tablespoons is maybe one and a half level tablespoons. The real outlier here is Luzianne at only one heaping tablespoon per cup. Chicory would account for some of that but not the complete difference. I cut maybe 25% when using chicory coffees but not the ~75% this would seems to recommend. My only guess would be that chicory is a historical coffee stretching agent so maybe there is also an element of people becoming accustomed to making weaker coffee to also extend the can of coffee but that is a pure guess on my part. By far the most economical brewing method is the percolator, which runs and re-runs water through coffee grounds in order to extract as many solids as possible. If you take a hypothetical Costa Rican Coffee at $10/lb, you end up with a cost per cup around $0.10 for 5-oz – most people will drink coffee in a 12-oz cup though, which puts you at $0.24/cup. Two tablespoons per 6 oz cup is awfully strong, unless you really, really want to make yourself a brutal, bitter, caffeine-monster of a drink. If there are 15 grams to a (flat) tablespoon, for instance, and the SCAA standard is 10 grams per 6 oz drink, then a typical mug of coffee (i.e. 12 oz) will need 20 grams of grounds — or one heaping tablespoon of ground coffee. That’s for drip-brewed coffee, too. From my experience filterless brewing methods (French Press, Vacuum Syphon, Percolators etc.) require even less grounds per cup. Coffee is roughly 5 grams per level cooking/measured tablespoon, not 15. I was reading this thread and thought the weights per tablespoon were way off. I just ground 3 batches, 1 coarse for french press, 1 medium fine for drip, and 1 extra fine for espresso. I weighed them using a digital scale that is calibrated and accurate to .01 grams. The results were, 2.8,3.1, and 3,3 grams per level tablespoon. I use 185ML (roughly 6 Imperial OZ per cup) and 1 tablespoon per cup. Just to check how much a tablespoon of coffee grounds weighs, I pulled out my OHAUS 1010 reloading scale. These have to be very precise otherwise the person reloading rifle cartridges will blow the gun apart and OHAUS could perhaps be sued. I used two different tablespoon sized measures. And pulled a knife across the spoon top to level the measure of coffee. The coffee was Folgers Brazillian in their standard grind which is courser than expresso, and intended for the common drip grind American coffee brewers. Second tablespoon weighed 72.2 grains. Grains is the measure of weight used by gunpowder manufacturers. 1 grain = 0.648 grams. Now if we use the comments by “Scott”, he says that the ratio of expresso to drip grind he found to be 3.3 to 3.1, the expresso being heavier than the drip. So taking an average of my two weighing as 4.65 grams, then we have 4.65 grams x 3.3 /3.1 = 4.95 grams. But a tablespoon of expresso will indeed weigh about 5 grams as far as I’m concerned after my experiment. Which I never have to do again, I did it once to be sure, that’s enough for me! Personally, in a drip coffee maker I use 4 tablespoons for 40 ounce pot. Folgers advises 1 tablespoon per 6 ounces, but 6 and 2/3 TBLS per pot is way too much for me. I love coffee. I enjoyed strong coffee yet have discovered that it is not always best for me to indulge- or overindulge. I had been using 60 grams of ground coffee ( I buy the roasted beans and then grind them as and when needed ) for a 1050 ml. this makes a truly strong coffee. a more reasonable coffee amount for the average coffee drinker would be 25- 30 grams. I have a scale that I use to measure the amount. My scoop contains 25 grams of ground coffee. So i have been using that amount now to make my coffee. This amount of coffee with it’s caffeine is much easier on my system than drinking coffee made with twice that amount. The comment about a tbsp being 15 grams refers to the fact that a tablespoon is equivalent to 15 ml. Based upon it’s density , 15 ml of water has a mass of 15 grams. Many people assume thereafter that a tablespoon of anything has a mass of 15 grams. The amount of caffeine that was in my original recipe ( 60 grams of ground coffee ) would have been closer to the far end of the scale of reported caffeine amounts per 175ml. the ranges I have read state amounts anywhere from 70- 150 grams. based upon the effects, I would hazard a guess that i was getting 150 grams minimum per cup of coffee. ~ 175 ml – 220ml suggested serving size. I don’t know anyone who drinks that piddly amount of coffee. maybe 9 year olds do. I don’t know. The cup I use is larger than that. It was about 425 ml. I was having 3 of these per day. So my caffeine intake was 450- 600 mg per day. minimum. quite possibly more than that. After a week, I realized that something wasn’t right. and adjusted accordingly. Now the 25 grams works. Friends can enjoy a cup of my coffee without using excessive amounts of cream and sugar. I am working on getting my coffeine consumption down to one of my cups per day. WARNING! Nowadays with more people grinding their own coffee and potentially using finer grinds than are optimized for an automatic drip coffeemaker, users are heading for trouble if they apply the 2 TBSP per 6 oz cup “standard” because not every coffee machine uses that definition of a “cup”. There are several brands on the market that use a 5 oz per cup definition. So if you were to fill up your 10- or 12-cup coffeemaker that brews 5 oz per cup using the 2 TBSP guideline intended for a 6 oz cup/carafe measure, that could result in the dreaded overflow situations people complain of in many a coffee machine review. To be precise, such overflows can *also* be caused by not aligning/snapping things in place, putting in too much water, not having the lid on the thermal type carafe free of grounds/limescale or by the pause-serve mechanism “stuck” with spent coffee grounds. So when people complain that they “did everything right” and still their ADC overflows, it is important to address the potential that one is adding too much grinds to brew a full pot of coffee. In short, users are asking for trouble if they add 2TBSP per cup with the intent to brew a full pot into a smaller 5-oz per cup carafe. The advice on so much of the web doesn’t take this caveat into account, and it never occurs to some coffeemaker owners that their coffee decanter is designed to hold 5 oz per cup, not the standard 6 oz or even a conventional 8 oz cup. If my math is not mistaken, a 5-oz-per-cup carafe such that you find on some CUISINART and KRUPS models is going to take a 1.6TBSP per cup measure to equate to the 2 TBSP recommendation per 6 oz carafe cup. But even at the 1.6 TBSP per cup equivalency, manufacturers using a 5 oz carafe measure often suggest a TABLESPOON per cup guideline rather than a “coffee scoop” (1/8C). With a partial pot it may be possible to add the “ideal” measure, but with a full pot at that quantity of grounds, watch out! Here’s how it breaks down: One standard 8 oz measuring cup is equivalent to 16 TBSP dry measure, or 8 standardized coffee scoops (1/8C). Suppose you were to take a 5 oz per carafe “cup” and brew a full 10- or 12-cup pot using the instructions provided here (2TBSP or 1/8C coffee scoop). That would be 1 1/4 Cup worth of grinds brewed into a 10-cup, and a whopping 1 1/2 cups worth of grinds brewed into a 12-cup model! Not only will the coffee taste too overpowering for the average person, but there are very few coffee machines that can accept this many grinds into their basket when brewing a full pot of coffee â€”â€” unless you don’t mind overflows! But wait, it gets worse! Even on a coffeemaker that uses the industry standard 6 oz cup-per-carafe measure, I would think twice about brewing a full pot of coffee at the 2TBSP per cup rate. That’s a LOT of coffee grinds to shove, say, into a #4 cone filter. Therefore, if you opt for that many grinds to a full pot of coffee, you *must* be particularly careful if using a permanent filter that the grind isn’t too fine or it will clog quickly and overflow rapidly. Bottom line: If you want to brew a full pot into a non-commercial home coffeemaker, don’t follow the advice shown here. Consult your user manual or the manufacturer website, instead. Weak coffee if just weak coffee and can not be fixed. Weak coffee IS just weak coffee and can not be fixed. It should be noted that in any context other than coffee, a cup is 8 ounces. Fortunately, tablespoons and cups are in the same measuring system, however when scooping coffee one rarely bothers to level off the top of the scoop, which throws everything off even more. The measuring methods used in home coffee preparation are totally confusing and really don’t make any sense. There should be a way of having a nice ratio of coffee to water, but for some reason whoever was in charge of that messed it up pretty bad. Maybe they ran a restaurant and wanted to be the only ones around who could properly make coffee. So in conclusion, if you want, you can use the same measuring cup for the water and the grounds, and using this ratio it won’t matter what units you’re using. Personally I like mine at about 1:9. Hopefully this is helpful, I bothered figuring it out because that same question was driving me crazy forever. I went looking on the internet for information about ounces, cups, tablespoons, etc., and sort of found it, but I’m still confused (and annoyed), I guess because I haven’t been in school for a long time and am now rusty when it comes to simple math calculations. Basically I’m annoyed that the back of the Starbucks package says “2 tablespoons per 6 ounces.” #1, why wouldn’t it say “1 tablespoon per 3 ounces”? And even better, why not “1 tablespoon per ___ cups,” since my coffeemachine, Mr. Coffee, is labeled to measure in cups? Why can’t we as a society/planet get this straightened out? It’s really annoying. Year 2011, people. We don’t have to be sentimental about old measuring systems. We should get it organized so we don’t even have to mentally make such comparisons between different types of measurements. OK, given a cup of coffee is 6oz, and you get about 5oz plus/minus after brewing, and recognizing that coffee making is a personalized art (you learn to make what you like with the grinding and brewing equipment you own), but what about the factor introduced by the fineness or coarseness of the grind.? Should you add more coffee per cup when using coarser grinds (because you get less coffee per measure) or is that all part of the art? I know I can increase the amount of coffee in a 2 TBSP measure by 20% if I tap the newly ground jar of coffee on the counter. The grounds settle a lot, depending on how finely they are ground. Further, I pack the coffee in the filter cone gently but firmly to increase the dwell time of the brewing. Pack or pack not? And finally, is there a rule of thumb for grinding various coffees or is that, too, part of the art? 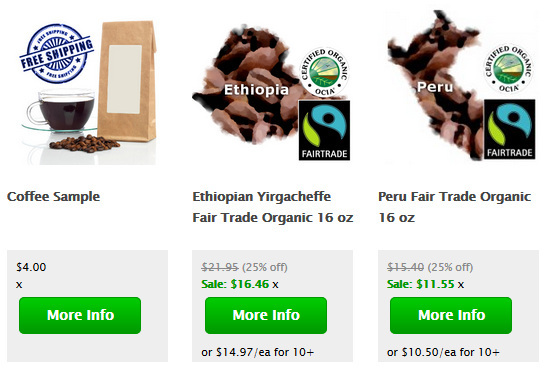 coffees vary in density, partally with grind, so a teaspoon of different coffees can vary. I prefer, 7 Grams per 6 oz cup, when brewing a 6 “cup” pot (42 GM of grind). grind fine for paper filter, a bit coarser for metal. also, the finer the grind, the stronger the coffee, as it will retain the water longer. How much coffee to use for a 6oz Cup of coffe? In the original entry of this blog it says: ” ï»¿the SCAA defines 10gram or .36oz as the proper mearsure for brewed coffee”. Since 1 TBLS = 1 ounce, that would meean .36 tablespoon per 6oz cup of coffee. Which means 2 Tablespoons of coffee would make six 6oz cups of coffee. So is the coffee manufacturers just trying to fool us into thinking that we really need 2 TBLS to make one 6 oz cup of coffee so they sell more coffee grounds? or what am I missing here? I actually use more like two TBLS per 5 cups. Well I’ve been using 1 heaping tablespoon per cup and it works for me. If I care for a stronger cup then I add a bit more. is figure it out yourself via trial and error. As a guideline: for a medium roast coffee, at a medium grind: 1 Tablespoon grounds for each 6oz cup of water will give you a medium brew. I do this with Starbucks pre-ground columbian coffee. It works perfectly. I will say that if you buy a cup of starbucks house in their store it is definitely stronger than 1T:6oz ratio. This 2 Tbs per 6oz is crazy; it will make a strong brew. Nothing wrong with that, but it’s strong and thick. Love the passion for coffee and measurement! I dont think the metric system would help much. There is still preference. My “cup” holes 16 oz. I use 1/4 cup of dark roast and ~17 oz of water to brew enough to fill my cup. My girlfriend doesnt measure at all. just fills up the coffee pot with 12 cups (6oz?) of water, and fills the filter up about 3/4ths of the way. Looks to be about 1 and a half cups. She also likes to take the first cup (super, super strong) before brewing finishes. To each his own! I have been using 1 tbls of grounds per 6 oz of water for years. I’m certain I got this ratio from the bags of whole beans I’ve been buying for all those years. I just noticed that all the available brands at my grocery store now say 2 tbls per 6 oz. That seems excessive to me, and I’m guessing it’s a change brought about by Starbucks’ changing the public’s perception of what coffee should taste like. Am I crazy, or does anyone else remember that the recommendation used to be 1 tbls of grounds per 6 oz of water? BTW, I fully understand that tastes vary and everyone should drink their coffee however strong they like it. I’m just wondering about the recs on the bags. How many cups of water for 2oz of coffee for a coffee maker?